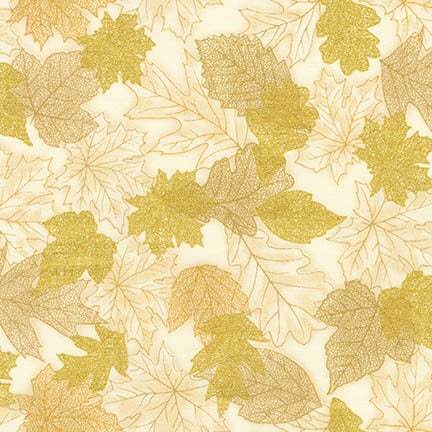 Robert Kaufman, this cotton print fabric features gorgeous leaves with a hint of metallic. Perfect for quilting, apparel and home decor accents. Colors include metallic gold, white, maroon and shades of brown and green. We also have many other fabrics in this line!